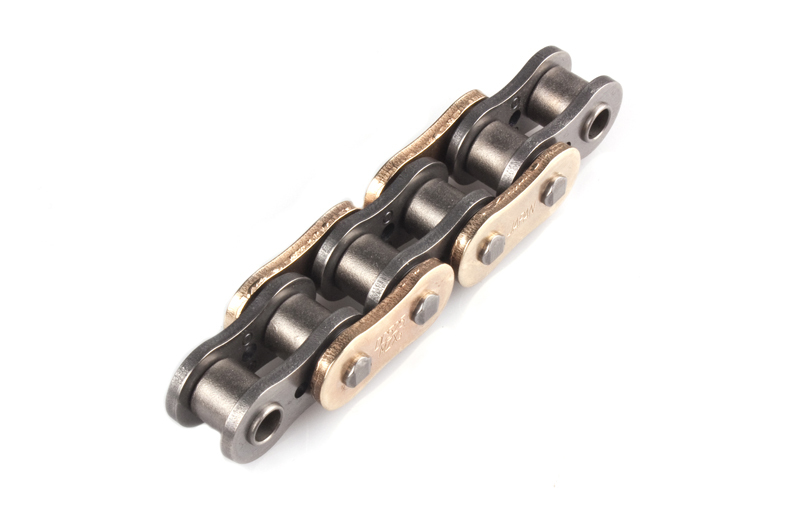 DC QX-ring chain: What an evolution in the performance of the chain drive. DC QX-rings are designed to keep the high-quality grease longer inside the chain in order to ensure a better and longer lubrication. All MZX chain qualities suitable for heavy touring bikes obtained a new designed QX-ring which keeps even longer the grease inside the chain. The QX-ring of the off-road chain DC520MRX2-G is adapted to resist longer to wear due to sand and mud.